Nicoletta's Table has new menu, extended hours focused on bringing nightlife back to Lake Oswego . 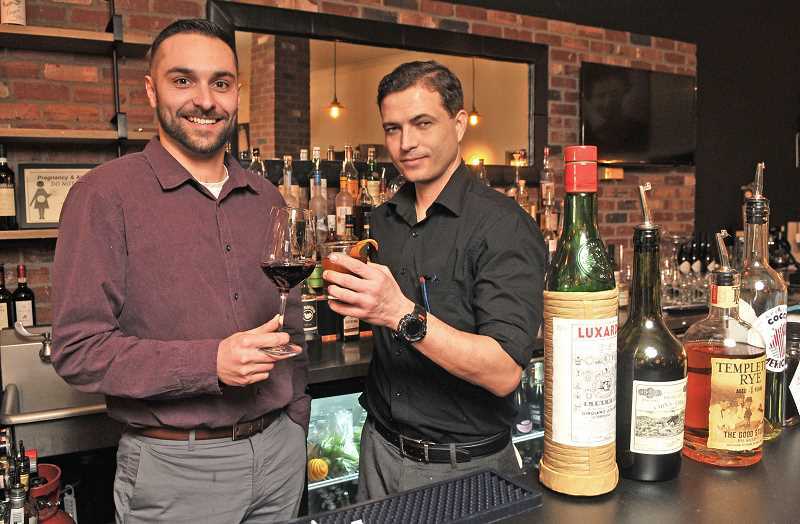 Lake Oswego-based Italian restaurant Nicoletta's Table has hired Ameer Ghassemi as general manager over all its properties and Nick West as bar manager for the Lake Oswego location. Ghassemi began his hospitality career as a teenager, working in a Persian restaurant owned by a family friend. He started as a busser and worked his way up to line cook, then to the front of the house as a server. "Some of my fondest memories as a child were helping my mom and grandmother cook for Norooz, the official New Year's holiday in Iran," Ghassemi writes on the Nicoletta's Table website. "Working in restaurants and hotels, creating menus and feeding people, feels like a natural extension of this family tradition." Ghassemi served as the restaurant and bar manager at the historic Baranof Hotel in Juneau, Alaska, then moved to work at the award-winning farm-to-table restaurant 12th Ave. Grill in Honolulu, Hawaii. Under his direction 12th Ave. Grill earned the 2015 Best Restaurant of the Year Award from Honolulu Magazine. He fell in love with wine while working in Honolulu and earned his sommelier certificate in 2016. He moved to Portland last summer. "Ameer is tasked with taking the restaurants to the next level," said Nicoletta's Catering and Special Events Manager Liane Cabot. West and Ghassemi have created a new cocktail menu focusing on Italian liquors to celebrate the launch of a new "late night" menu featuring pizzas and other snacks from the restaurant's new wood-fired pizza oven. Desserts will also be available. Beppe's Bar, located inside Nicoletta's Table, will be open until 11 p.m. Friday and Saturday nights to accommodate the theater crowd and others wishing to extend their evening entertainment. 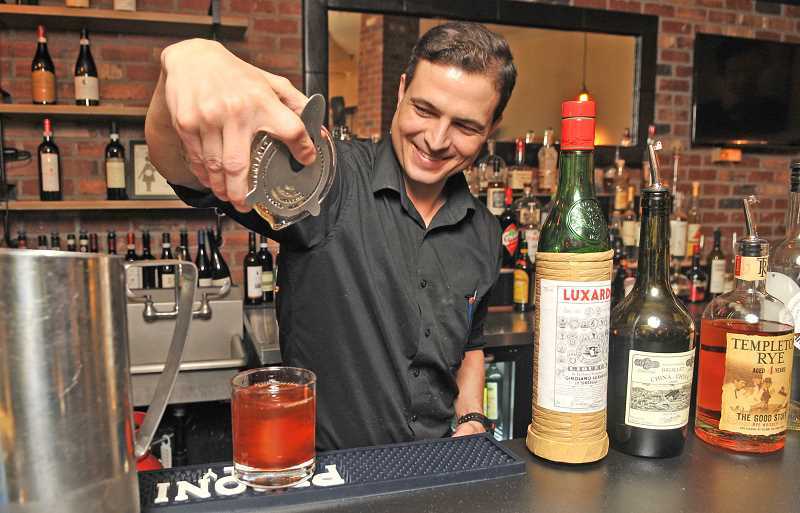 "We're trying to bring nightlife back to Lake Oswego one great martini at a time," said Cabot. Nicoletta's Table and its sister properties are authentic Italian restaurants offering homemade pastas, pizzas and salads. Inspired by dear friends, Giuseppe and Nicoletta Torriti of Cortona, Italy, owners Alan and Shari Newman share their passion for excellent Tuscan food and wine with diners at each of their restaurants. Nicoletta's Table offers live music from 6 to 8 p.m. each Tuesday. Monday's are referred to as Meatball Mondays; guests at Nicoletta's Table and Nicoletta's Café can enjoy meatball pizza, spaghetti and meatballs or mini meatballs for $10 in the restaurant, or $12 to take home. Wine and food pairing events, cooking classes and more are also offered at the restaurant, located at 333 S. State St., suite M in Lake Oswego. Nicoletta's Café, located on the campus of the Oregon College of Art and Craft, now serves dinner on Thursday and Friday evenings. The third property is Nicoletta + Beppes located at 1230 N.W. Hoyt in Portland. Learn more online at nicolettastable.com.